Author: Brassai, (Jules Halasz) Set In . . . Description: Arriving in Paris in 1924, Brassaï rapidly became a shrewd observer of nocturnal Parisian life. 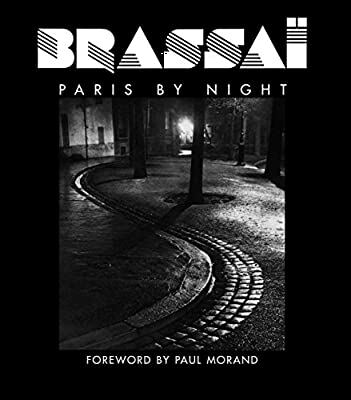 He sensed that photography was the tool that would allow him to document his vision of a dying society.Fascinated by the night, which he found disconcerting, enigmatic, and suggestive, Brassaï photographed its every aspect, from police to prostitutes to the homeless to socialites, all in a dreamlike and mysterious manner. In sixty-four images, Brassaï succeeded in remarkably capturing this unique ambience. This book, meticulously assembled by Brassaï himself, signifies the birth of the artist.Brassaï, originally from Hungary, traveled to Paris in 1924, where he began to associate with the avant-garde artist community, in particular with Picasso and the Parisian surrealist circles. He quickly established himself as one of the most original photographers of his generation.